Typically, when you are trying to convey the sense that everything on your end is fine and under control, you present a united front to the public. If anything, doing that makes people think that you at least know what you’re doing. Unfortunately, the folks running the show at Cadillac are definitely not giving off a sense of a united anything. Which is kind of a different tune than the one Carlisle was singing. One gave me a vague answer that included confusing rollout timing and the other straight up all but admitted there was no excuse for the tech to be absent. So what are we supposed to believe? Within a mass-market company, Palmer said, such brands are forced to push sales volume and profits for the company, even when it risks undermining the brand with incentives. Brands such as Mercedes-Benz and BMW, he said, don’t have that problem. He’s got a point there, though one that doesn’t account for the success of Audi, Lexus or even Porsche. Anyway, things at Cadillac don’t seem to be going great right now. And GM knows it, too. In 2016, Ford showed off a car loaded up with tech that the automaker hoped would propel it to selling a fully autonomous vehicle by 2021. It said that it would skip over Level 3 autonomy (the bare minimum of human driver input) and head straight for Level 4 autonomy (the car’s major functions are automated but will still ask for help from the human.) And it looks like those plans were a little, uh, ambitious. Ford now believes that skipping Level 3 is too risky, despite what Ford’s then-president Raj Nair said in 2016, according to Automotive News Europe. Ford’s plans will now include step-stoning from Level 3 to Level 4, says Marcy Klevorn, Ford’s head of mobility. “Taking steps to get there as opposed to a big bang is more practical. I think it allows us to provide autonomy in step functions to get people used to it. Acceptance is going to be a big deal; this is totally a different way to move. “It’s more just getting people used to the idea there’s increased levels of autonomy, gaining that acceptance and providing functionality now,” she said. She has a point. Much of the general public still needs to be educated on what a semi-autonomous car can or can’t do—just like how they need to learn what they themselves can or can’t do while letting a semi-autonomous car drive them around. All the same, Ford still has plans to launch Level 4 cars in 2021. It had better hope that everyone gets a bit smarter about self-driving cars by then. It is true that people who have vehicles with driver assist technologies today (with Level 1 and 2) features are more open to driverless cars tomorrow. However, that is separate from our Level 4 plans that are still on track. We’re still not sure how that changes anything, though, and will update if we hear back once more from Ford. At this point, we only are monitoring Level 3 as the technology evolves/improves but that’s separate from the Level 4 plans we’ve already announced. We said we saw technological issues transferring driving responsibility back-and-forth from the driver and vehicle so we would monitor the technology to see if and how it improves. We are still in that mode. 3rd Gear: A Rival Deal? BMW and Mercedes-Benz have been longtime competitors, but imagine how cool it would be if they worked together to produce a joint-compact car. This might be closer to reality than you think. Grain of salt, but Mercedes and BMW could co-create the following generations of their compact cars—the A-Class and the 1 Series, respectively—as part of some kind of cooperation that would include sharing tech for autonomy. Now, this is just a rumor that German newspaper Handelsblatt reported and Automotive News picked up, but the paper quoted unnamed sources with inside knowledge. Unfortunately, we wouldn’t see the cars before at least 2025. This wouldn’t be the first time either company has jointly created vehicles with other manufacturers in recent times. Mercedes and Infiniti have teamed up before to create the QX30, which rides on a Mercedes GLA platform. And there are many, many BMW bits underpinning the new Toyota Supra. Currently, Panasonic is Tesla’s exclusive battery supplier, but that doesn’t mean that that Panasonic isn’t seeking other ventures elsewhere. As a matter of fact, it just struck a new deal with Toyota. It should be noted that Toyota and Panasonic already have another joint venture called Prime Earth EV Energy, which makes batteries that are mostly used in gasoline hybrid cars, according to Reuters. If this new partnership works out, though, it could mean sizable profits for both Toyota and Panasonic, as many other carmakers outsource battery production due to high costs. When we last left off at around this time last year, Henrik Fisker’s EMotion concept was unveiled at CES 2018 and promised swoopy doors, an all-electric power train and Level 4 autonomy. The EMotion would be sold in low-volume, but now it seems that Fisker also has plans for an affordable, high-volume car, too. We plan to launch a high-volume, more affordable vehicle in 2021 at a starting price that will be close to $40,000 and 40,000 euros. Yes, it will be sold everywhere. But it will be produced in the U.S. We are currently looking at some existing manufacturing plants. 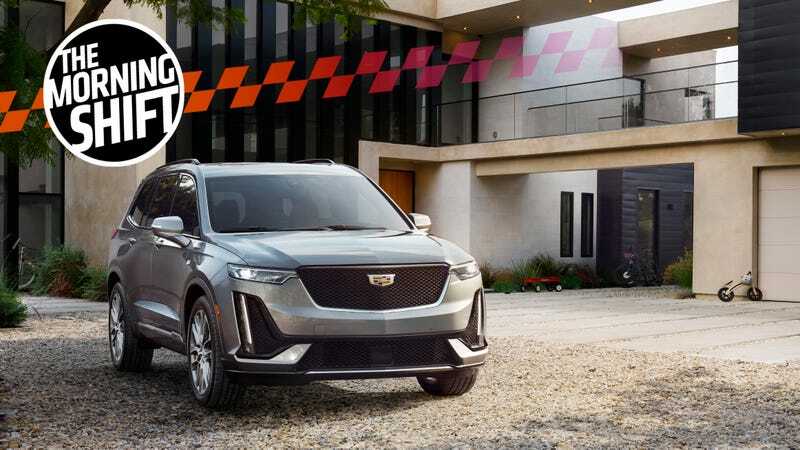 There are quite a few available [General Motors announced in November it planned to end production by the end of 2019 at U.S. plants in the Ohio and Michigan]. One of the big issues that comes with electrification is the initial lack of volume. Therefore, it is tough for anybody to make an affordable electric vehicle that is comparable in terms to what it can offer the customer for the same price as a fuel-powered car. It has worked OK in the [EV] luxury segment because people are willing to pay extra, but once you get in the affordable segments, it’s really difficult. These are big words coming from a many whose company hasn’t shown anything solid off yet, but I’m staying positive. But I’m also skeptical. Making cars is hard! Hopefully Fisker will be able to outsource enough parts to bring his costs down and drive the efficiency of his future cars up. The Royal Irish Automobile Club (or just the Irish Automobile Club in those days) was founded in 1901 as one of the oldest car clubs in the world. Neutral: How Would You Fix Cadillac? Pretend you don’t have GM corporate looming over your head. You have an unlimited budget. How would you fix Cadillac?